Eleven-year-old Will McLemore of Houston landed this 67” dorado while fishing with Capt. Brett Holden and the crew of the Booby Trap out of Los Sueños, Costa Rica. He also released his first ever blue marlin! His father, Scott McLemore, also released a marlin just minutes later on their half day trip just 20 miles from the marina. The big dorado took a live tuna, bridled with a circle hook, while fishing for Marlin near a floating log. 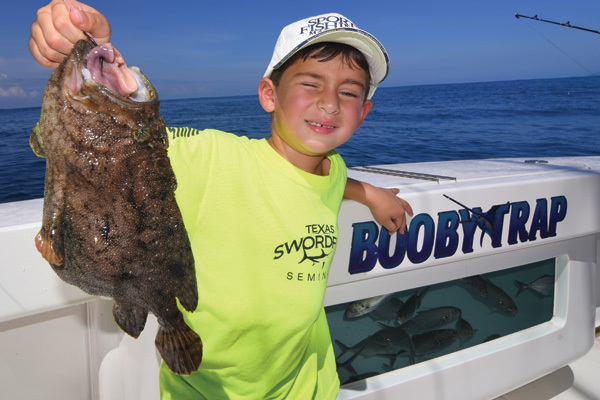 Five-year-old Brett Holden ll with a Costa Rica ‘toadfish’ on board his father’s 52′ Viking, the Booby Trap. It’s not all fun and games. 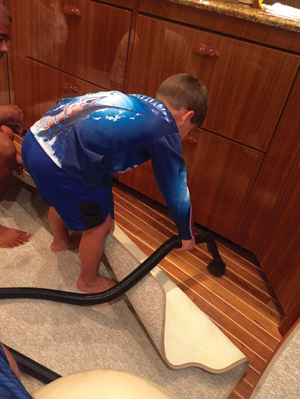 Brett Holden II earns his way as part of the crew by learning good boat maintenance and cleaning. Start them young, teach them right. Never force your youngsters to fish and keep it entertaining. Give them fast action and fun but don’t push them to the extreme if they are bored. Forcing the kids to fish at young ages can push them away from the sport. Let it come naturally; make it so they ask to go fishing. I would actually leave my boy at the dock or home until he begged me to go. It really ate at me too, but I did that on purpose. At first, he was okay staying home but now he eats it up every chance he gets. It is still very hard to say no to the long trips, because he can’t be missing school. I teased him into loving fishing and hunting, rather than forcing him into it. Less video games and more fishing, spooling reels, driving the boat and cleaning with the crew. He is earning his way as part of the team. 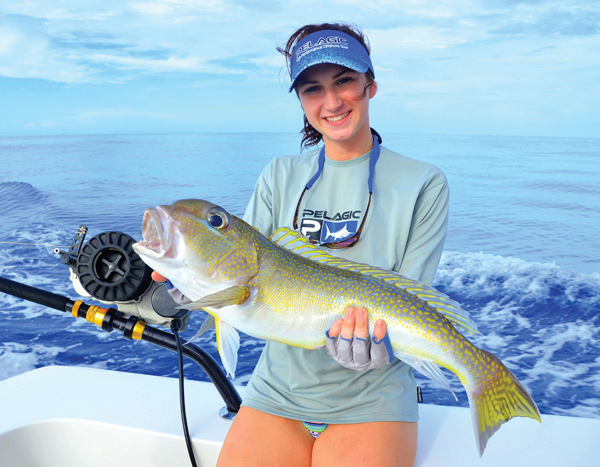 Chelsey Holden and a very colorful tilefish. Capt. Brett Holden with a real nice yellowedge grouper. Deep dropping for tilefish and grouper is becoming more and more popular by the day here in the Gulf of Mexico. I began fishing for these deep-water critters in the mid-1980s, and the sport has grown into a daily routine for many Gulf anglers. 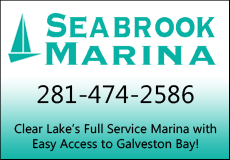 Faster boats with longer range have now made fish like warsaw grouper, snowy grouper, yellowedge grouper, longtail sea bass, barrelfish, tilefish and others easier targets for many Texas sport fishing vessels. These deep drop techniques will help you find these fish in 400–1,300 feet of water. Capt. Matt Reed, left, and Capt. Jeff Wilson with a warsaw grouper. Mike Parsons with a huge tilefish that measured in at 43 inches and 33.08 pounds. Warsaw, yellowedge and longtail sea bass are commonly found around mountain tops, hard spots and deep water oil rigs in the 400–900 foot range. 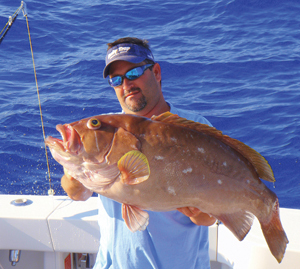 Warsaw grouper, on average, run anywhere from 40–100 pounds. But over the years I’ve seen several fish up to 250 pounds and a couple in the 300-pound range. Regulations have changed and now only one warsaw per-vessel is allowed. Yellowedge grouper are delicious and average 8–18 pounds, with a few 20–30 pounders still caught fairly regularly. The largest one we ever caught was around 50 pounds. ‘Bubba’ with a longtail sea bass. Longtail sea bass are another fish that seem to inhabit the same area. They are good eating but hold a little stronger taste than the deep-water grouper. Once again, these fish are mostly found in the 400–900 foot range. 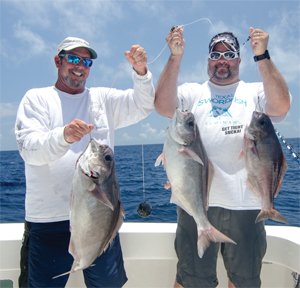 Barrelfish and tilefish run a little deeper on average. For big barrelfish, you want to fish down current from the edges and walls of deep water mountain tops. The edges will have well-defined drops and barrelfish can stack up very thick at the top and bottom of this structure. They’re usually found a bit higher off the sea floor and mark well on a good bottom machine. These fish are most often found between depths of 850–1,200 feet. Capt. Jeff Wilson and Mike Parsons with a trio of barrelfish. Many times the deeper you drop for barrels, the bigger the fish tend to be. Last year we found a pile of barrels at 900 feet that ran 3–8 pounds. We moved off that ridge and found another school in 1,170-to-1,225 feet of water. All of the barrels off that ridge were running 12–18 pounds on average. These fish are a blast; they fight all the way to the surface, unlike many deep water species that tend to “blow up” as they near the surface. The barrels fight hard and really put a bend in the rod. Tilefishing is a fast growing sport and produces exceptional table fare. Not long ago, tilefish were pretty much unheard of as a rod and reel fish. I caught my first one in the mid-1980s and have been targeting them every since. This fishery was kept very quiet for a long time and was a pretty big secret. Back in the 1990s, there were no limits on tiles, and that is what we filled our freezers with. But still to this day, they are a fish you can actually go target and pick up a few meals. and several that have been 35–45 pounds, including a couple near 50 pounds. Now that eyes are opening to the new daytime swordfishing industry here on the Texas coast, more and more tilefish are being boated. Tilefish are probably the easiest of all the deep water fish you can target. 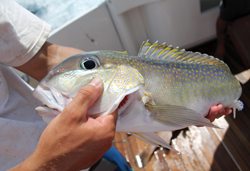 The golden tilefish is most commonly found in the 900–1,250 foot range. 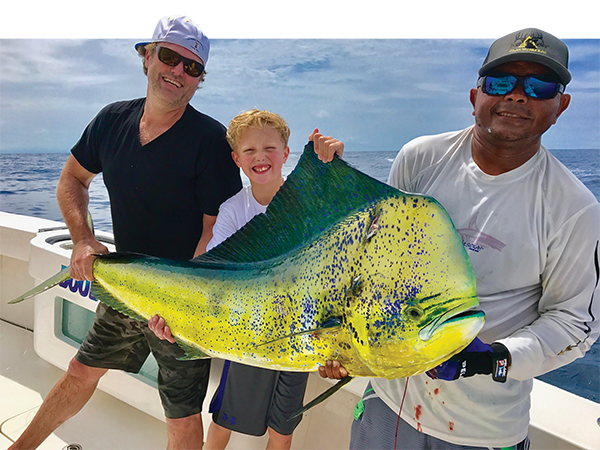 Smaller tiles, averaging 2–10 pounds, can be targeted on the continental shelf wall without any special areas or specific “numbers.” Muddy areas anywhere from 900–1,000 feet of open water will hold tilefish. Finding better average sized fish will take a little more work. Tilefish will typically get bigger off the shelf, or in valleys against the shelf. Drop on the down current side of small dips and slopes in 1,000–1,250 feet of water. Tilefish tend to feed right on the bottom, so try to stop your bait and hold the boat on an area as tight as possible. However, slow drifting will also produce tilefish and is great for covering ground. Drag the bait against the bottom, stopping often, and then continuing the drift to explore new areas. 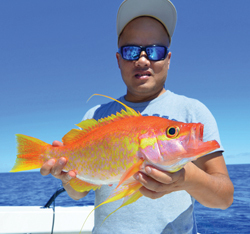 Finding bigger tilefish is another story altogether. I have learned a lot over the past few years about these large fish. The biggest ones will hold against ridges at 1,200 feet and are bold enough to follow baits headed for deep water. Drop your bait near the edge of a ridge that looks over 1,500–1,600 feet of water and be ready. The biggest tiles, those from 35–50 pounds, seem to live alone. I have caught most of these big fish away from the schools and many times, several feet off the bottom feeding in schools of squid or dragonfish. The big tilefish really don’t seem to like a lot of leader in their face. Single rigs with the weight above the bait seem to work best. A whole squid, about 14-inches-long, works very well. Use a large hook and bait to avoid the smaller fish when targeting big tiles. I seem to catch lots of big tiles early in the year, April through May, and sometimes in as shallow as 850–1,000 feet. I’m not sure if it was due to spawning or what, but I’ve caught several in the 30–45 pound class during these months. 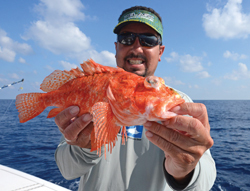 Josh Graves carefully holds up a scorpionfish. Beware of spiny, toothy and venomous critters that you might pull up from the deep. Spiny dogfish are small, deep water sharks that have spikes near the dorsal fins that can cause a painful sting. The spines on scorpionfish can also sting if you’re not careful. But these bright orange fish are pretty good to eat. Once the sun goes down the tilefish stop biting and the eels take over in force. Conger eels have nice white meat but lots of bones. Banded shrimp eels and moray eels have mouths full of big teeth so watch out. Hake, a small brown fish averaging 1–3 pounds, also bite at night and can be a nuisance. They will eat pretty much anything. Their meat is good and tasty but very soft. I use hake filets to replace crab meat in gumbo. The tilefish don’t bite at night but grouper will if you’re in an area free of eels. Snowy and yellowedge grouper will take baits and warsaw will feed as high as 400 feet off the bottom in 900 feet of water. Triple deep drop leader with LP circle hooks. For years I never used any kind of light or strobe to catch tilefish and did okay. But over the past 10 years or so, I’ve started rigging them up and I think it does work better. I also found that rigging the light further from the bait will produce bigger fish. If we are targeting BIG tiles I will rig the weight and light 15 to 20 feet above the bait. Big tilefish will eat regular double and triple bait rigs, but once again, you’ll do better on a clean single rig. The standard double and triple bait drops work well for yellowedge grouper and smaller tilefish. Your size of leader and weight will all depend on how much current you are fighting. The bite and fishing will be best when using less weight and smaller line. Thinner line means less bow in the line and that makes it easier to see bites. On the Booby Trap, we use Diamond braid made by Diamond Products. I like the orange 80 pound braid because it is easy to see. 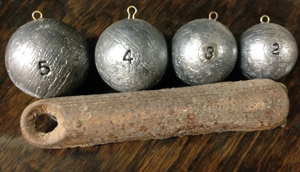 Cannonball weights and lead stick. With a light current and this braid, 3 pounds is a good weight to start with on your standard double bait leaders. I use cannon ball style weights because they don’t get hung up as easy on rough, rocky bottoms. If the current is strong then move up in weight size to 4 to 5 pounds. If it really cranking move up to 7 pound window weights or lead stick weights. Some of these deep water fish have sharp teeth, so heavy mono leaders are a necessity. Yellowedge, longtail sea bass and other smaller grouper are not so bad but tilefish, eels and small sharks have sharp teeth. The grouper will wear through light leaders eventually and the tiles will bite clean through them. I use 300 pound LP or Momoi mono leader for our deep drops. Use caribbean swivels to help keep the twist out of the leader and line. Most bottom fish will go into a spin on the way up. Heavy duty circle hooks, from 8/0 to 16/0, work best for deep dropping. Tilefish and grouper have no problem snagging themselves on a circle hook and I would say it definitely helps keep the fish on when cranking them up from the deep. A sharp hook is also important. It’s a long way up and down, so a needle sharp edge is very important. Be sure to take plenty of extra tackle when deep dropping. 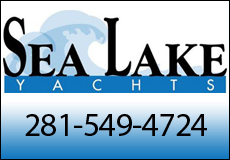 It is a long ride to the deep water fishing grounds and you might lose tackle to rocks and snags. Also, carry an extra spool or two of braided line. One break off at 1,000 feet can end the day if you are without replacement line. 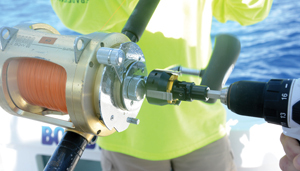 When it comes to reels, the Lindgren Pitman S-1200 electric reel is the reel of choice on the Booby Trap. The LP is a deep dropping fishing machine that also has the strength and drag system to handle big warsaw grouper and swordfish. You can also hand crank tilefish and grouper on conventional tackle but it is a long way up and down. The Reel Crankie is a must have, great product that can assist in getting your rig up from the bottom fast. It’s not made for fighting fish but for retrieving your heavy weight and empty hooks when you don’t catch a fish. It does a great job of winding up all the line, instead of you wearing out your arm on empty hooks. The Reel Crankie fits on a cordless drill and clamps onto several different makes of conventional reel. You can also deep drop with two lines but it can be tricky fishing and requires some boat handling. The more bow in the lines you have, the more likely you are to tangle your expensive gear. Over stuffing your hook with bait can result in fewer hookups. It is more important to get less bait nicely hooked rather than too much bait, which will result in missed fish. Avoid hard, bony, bulky baits that can push a fish off the hook. Softer baits like fish fillets and squid will result in better hook ups. Larger squid are usually tougher and stay on the hook better than the small ones. I like to take a 12–16 inch squid and cut chunks for tilefish. Squid wings work well too but not as a whole squid or chunks. Gut your grouper and tilefish ASAP for better table fare. These fish eat lots of shellfish, which can result in some nasty strong tastes in the meat if not taken care of properly. Wash down your fish after gutting them and keep on ice. Try and keep cooler drained at all times so the fish don’t soak in water. Now you’re ready to go out and find your own tilefish and grouper. The entire continental shelf from Texas to Louisiana holds great bottom structure, supporting tons of deep water species. Some fish stay directly on top of structure, some live on the walls, slopes and drop offs and some species are found on flat bottoms. Don’t forget to mark your hook ups on your GPS and keep a track record of your best catches. This is the best way to build and notice patterns on the different fish. It is a fun way to spend the day with miles and miles of perfect habitat for multiple types of great eating fish. You never know what you will come up with and that alone makes deep dropping fun in itself. 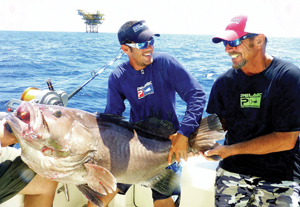 Brett Holden is the captain of the Booby Trap, which holds the record for largest swordfish in the Gulf of Mexico. 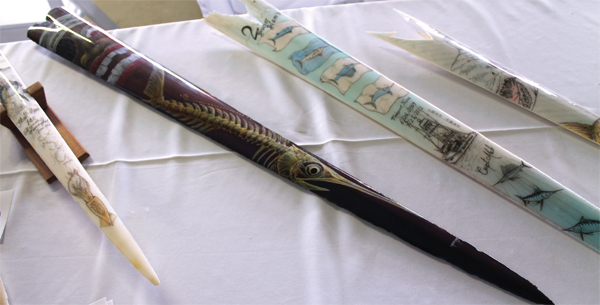 Holden is a pioneer in daytime swordfishing along the Texas coast; he holds numerous billfishing records and shares his deep drop techniques every year at the Texas Swordfish Seminar. Mike Ryan (not pictured) bought Grandma’s cookies for an impressive $36,000 at auction. 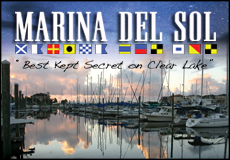 Sword seekers and sponsors came together Saturday, April 26 at Surfside Marina and did something incredible for our United States veterans. 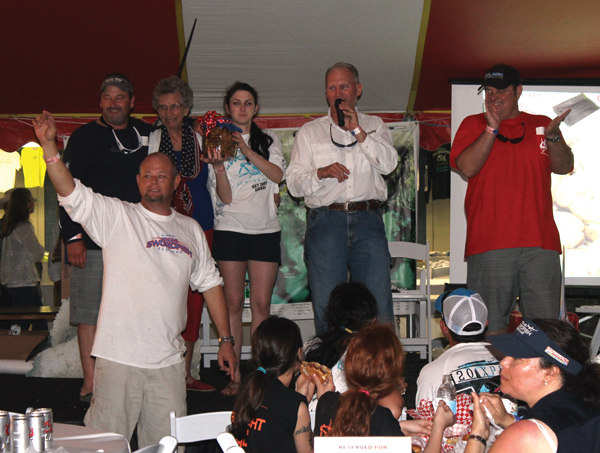 The 4th annual “Get Tight Sucka” Texas Swordfish Seminar by the Booby Trap Fishing team raised close to $400,000 for Everyday Heroes, an organization that helps veterans get wheelchairs, scooters and whatever else they may need without any of the red tape. 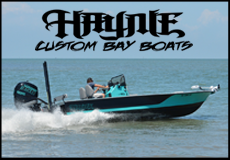 Over 200 sponsors offered up a huge array of items for both live auction and raffle, including dream sportfishing and hunting vacation packages, first-class offshore fishing gear and lures, coastal artwork, firearms, furniture and even baked goods. The proceeds from these items, and entry ticket sales, boosted the funds raised well above $350,000. Capt. Jeff Wilson with some of the lovely raffle sales staff. Capt. 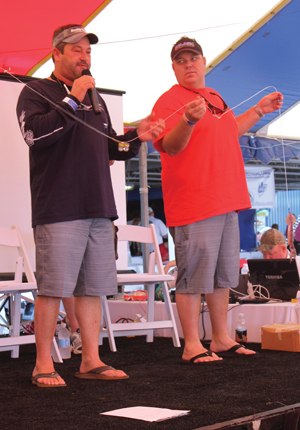 Matt Reed instructs attendees on proper bait rigging. Some of the top sponsors for the seminar included Brett Holden with Holden Roofing, Mike Ryan of Ryan Services, Surfside Marina, Michael Pappas with Pappa’s Bar-B-Q, Jeremy Turner with Texas Blue Water Mafia, Chris Hoover of Ron Hoover Marine and RV, Tim Pickett with Lindgren Pitman, Scott Broussard of Diamondback Firearms, Barry Shaneyfelt of Suncoast Marine, Mike Parsons with Coca-Cola, Michael Christiansen with Moody National Bank, Brian Barclay with Performance Contractors Inc., Rocky at Roy’s Tackle and RSG Roofing Supply Company. Capt. Brett ‘Ahab’ Holden and Capt. Travis Joyce explain how to rig a proper leader for swordfishing. A huge number of people came together to make this event possible. Some of the volunteers we spoke with were Brett and Monica Holden, Josh Graves, Rory Starling, Travis Joyce, Mike Parsons, Jason Gale, Joey Lenderman, Andrew West, Clay Schoolfield, Danny Lenderman, Neely Johnson, Matt Reed, Jeffery Wilson, Vance Smith and family, Ryan Services and associates, Terry Sibbet, Dan Mathews, Chelsey Holden and friends, Colton Pratka, the off-duty Brookshire Police Department and over 20 Holden Roofing employees. Attendees were treated to catering by Pappa’s Bar-B-Q, hundreds of pounds of crawfish and shrimp, water, drinks and inside know-how on catching swordfish from the crew of the Booby Trap themselves. 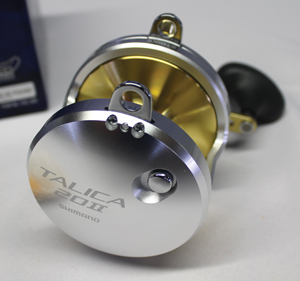 Heaps of world-class fishing gear, like this Shimano Talica 20II were up for auction and raffle. Captains Brett Holden, Jeff Wilson, Travis Joyce, Matt Reed, Rory Starling, guest speaker Nick Stanczyk of B n’M, Tim Pickett with LP Reels and “Disco” Luis Herrera discussed rigging, tackle, fishing locations, finding swordfish, and everything else you need to know about daytime and nighttime swordfishing techniques. After the seminar portion, the captains brought out the tables and personally instructed attendees on all techniques presented. The live auction that night was amazing to watch. Bidders went back and forth on some incredible items and packages. The top of item of the night, the “Make You Famous Swordfishing Trip” aboard the Booby Trap, was bought by Ron Bartee of Renovations Unlimited for a cool $37,000. Capt. 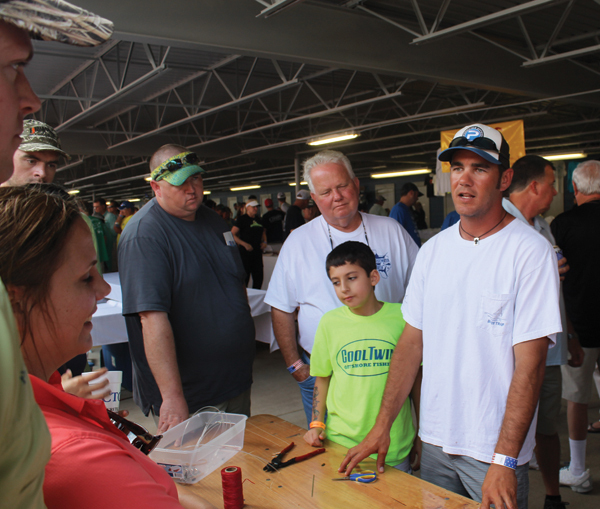 Brett Holden, the crew of the Booby Trap Fishing Team and everyone involved, from attendees to sponsors to live auction bidders, should be massively proud of what was accomplished. We urge our readers to attend and support this event in any way possible next year and every year it is put on for the sake of our veterans. 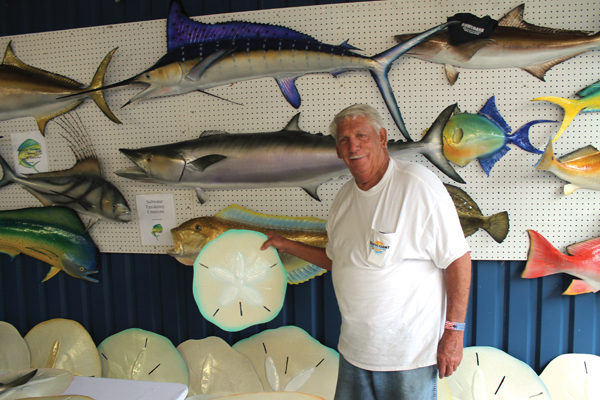 Saltwater taxidermy by Barry Shaneyfelt Sr. of Suncoast Marine Works. 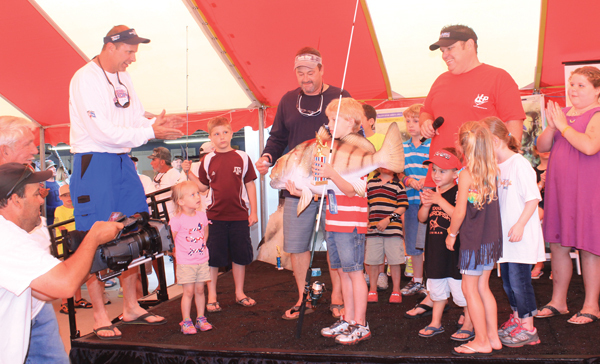 A 20 pound black drum won the age six-to-ten division of the kid’s fishing tournament. A mount was generously donated by Barry Shaneyfelt Sr. of Suncoast Marine Works. Beautiful swordfish bill art by Dan Matthews.